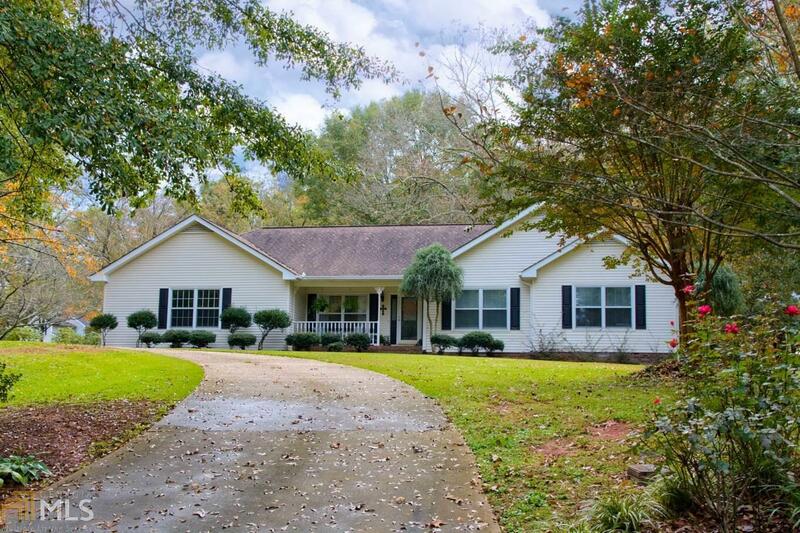 Move in ready 3 bed/2 bath ranch with tons of beautiful updates! Situated in a cul de sac on 0.95 acres. Two large outbuildings to all to meet your storage needs. From lighting to oak floors throughout the entrance, living and dining room, this home has been immaculately finished. All white kitchen contains stainless steel appliances, tile flooring and a barn door, going into the laundry room-where pantry is located. Separate dining room for your more formal occasions and a darling eat in kitchen for day-to-day! Cozy living room with real wood burning fireplace, painted white! Large master suite that opens up to the back deck with trey ceiling and barn door leading into updated master bath. Double vanity, glassed in shower, new lighting, tile, & garden tub.